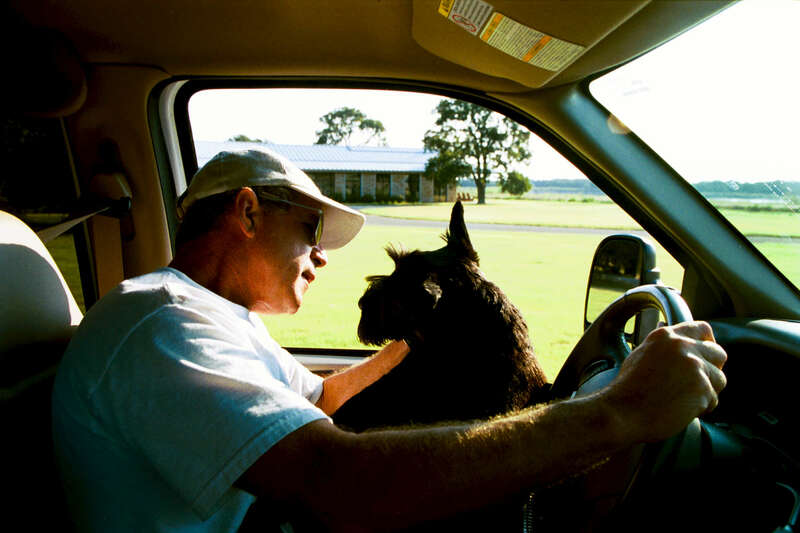 President Bush drives his truck at the Ranch. Barney sits in his lap. Crawford, Texas. Restricted. Do not print without approval.